Wrap up your week and come join us! My two older sons never liked getting their picture taken. In fact, they wouldn't even bring home the school photo order form. My youngest son is an entirely different story. He likes to be funny, ornery, goofy and definitely likes to get a rise out of me. This school year he decides to spice things up a bit. I picked a nice, neutral color for the background. He changed it to 'galaxy'. He left for school with an American Eagle T-shirt but changed it when he got to school. To make matters worse, he decides to unbutton his shirt as far down as the photographer would let him. I have my hands full with this boy! I mailed a surprise gift to a blogger friend. Even though this isn't the first season of The Voice, I just recently began watching it. I really think this show is so much better than American Idol. It is much more positive and the contestants get good coaching from the judges. I love the friendly, and yet competitive spirit between the singers. I am not blessed with a good voice, in fact I probably would shatter glass if I tried. I am amazed and in awe of people who can rock your socks off with their voice. 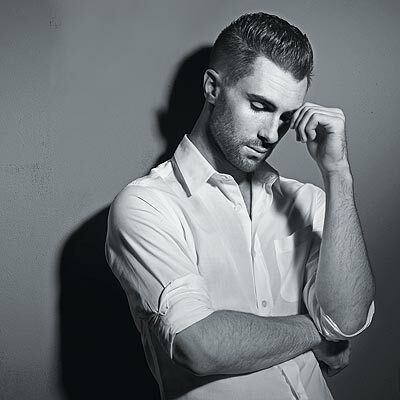 + side: Adam Levine is freakin' H O T! I will leave you with this image. hahahaha.. I love that kid!!! My youngest daughter is crazy about " galaxy's" right now, must be a new trend. What he did with the shirt is AWESOME!! You've gotta order those prints! I am loving Blake Shelton.. such a cutie! Have a great weekend. Couldn't you find a picture of Adam Levine with his shirt unbuttoned just a little more? That would have been totally appropriate!! I have a picture of Adam Levine that you may like. I'll email it to you! The school picture is great. I love that he "spiced it up" to suit his personality. Love that your son has such a sense of humor and adventure! 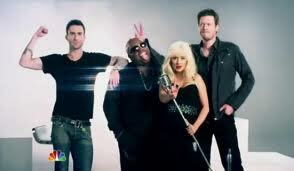 Only watch the voice now and than but mostly for seeing Adam.....he is hot hot hot! Love the marriage quote too funny! Have a wonderful weekend! I have officially become a fan of Maroon 5! Adam Levine... yahza!!!!! So good looking! Your son is hysterical! I love his sense of humor and that will serve him well in life! How sweet that you are sending a surprise package! It's fun to get surprises....but I think just as fun to send them! That Aunty Acid is right on the mark, hysterical! I love the Voice too......and I don't generally like those kids of shows, but I love the true talent they get and love that they don't smash their egos. My only problem is that I wish the judges wouldn't talk to ugly. There, that shows my age.....who says ugly talking anymore? Bahahaha that picture cracks me up!!! You definitely have your hands full! Is leaving pictures of HOT ACTORS a legit frag? 'Cause if it is, I know who I'm leaving NEXT WEEK!!!! 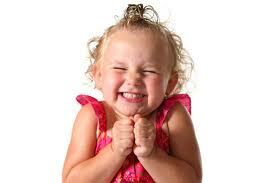 Can't wait to see Keetha's next week post! The marriage quote was really a hoot! But my favorite was the "little girl who can't wait." So cute! Ahh, Fabio… No. I think Brandon likes to be unique. I enjoy The Voice and am amazed by all the talent on display. I cry when people don't make it through because it doesn't mean they aren't talented. Your son's sense of humor is awesome! Love it! Mr. Sun, sun… please shine down on me!